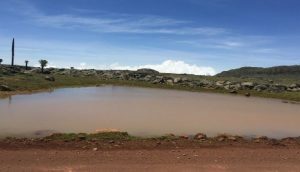 It was in the summer of 2015 when I first traveled to Manyate, a village along the southern border of Bale Mountains National Park (BMNP). But before getting into our story in Manyate, let’s briefly introduce the Bale Mountains National Park. 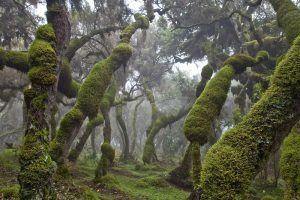 Located in the Oromia region in south eastern Ethiopia and encompassing approximately 2150Km2, BMNP has the second largest moist tropical forest and the only cloud forest in Ethiopia. 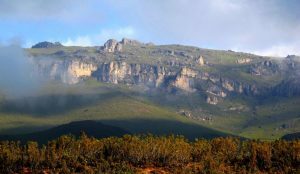 It also includes the country’s second highest peak, Tullu dimtu (4377 meters) and is home to the Ethiopian wolf and mountain Nyala with more than 50% of the total populations of both these endangered species found within its boundaries. The national park was established in 1971 by the Ethiopian Wildlife Conservation Organization with the primary objective of conserving the wildlife and other valuable natural resources in the area. 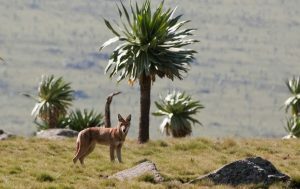 The unique, rich and diverse ecosystem of the BMNP led to its designation as an international biodiversity hotspot and a candidate as a UNESCO world heritage. Yet, the conservation significance of BMNP does not stop here. It is a source of water and lifeblood to more than 20 million people downstream as far as Somali and Northern Kenya. Despite its outstanding ecological, socio-cultural and economic values, BMNP faces increasing threat from expanding human settlement characterized by overgrazing, deforestation as well as forest fires. Manyate is one of the 26 villages surrounding BMNP that exert the most pressure on the park’s natural resources. Despite the official re-demarcation of the park’s boundaries in 2014, illegal encroachment of human settlement, expansion of livestock grazing, farming and related livelihood practices have continued. 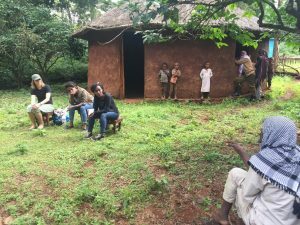 Since 2013, our now CCC team partners Zerayehu and former peace corps volunteer Matt, have been working together with the community in Manyate in helping set up the Sankate community-based association. The goal was to create and diversify alternative livelihoods and build resilience of the bordering community thereby reducing human pressure on BMNP. I was involved in this process by helping with the training programs and community consultation workshops focused on developing business plans, promoting ecotourism and offering tour guiding training programs. Fast forward to the summer of 2018, I travelled back to Manyate to continue working with same community on co-developing and evaluating the outcomes of conservation and livelihood programs. 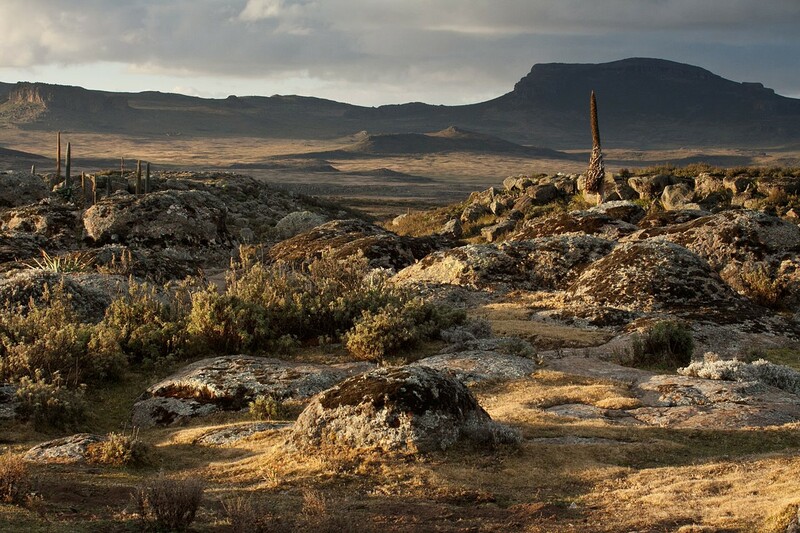 Driving through to national park to Manyate village was reminiscent not only of the impeccable landscape features of the Bale Mountains, but also of the journey we’ve gone through in helping finalize the establishment of the Sankate association, the progress as well as the challenges encountered over the past three years. 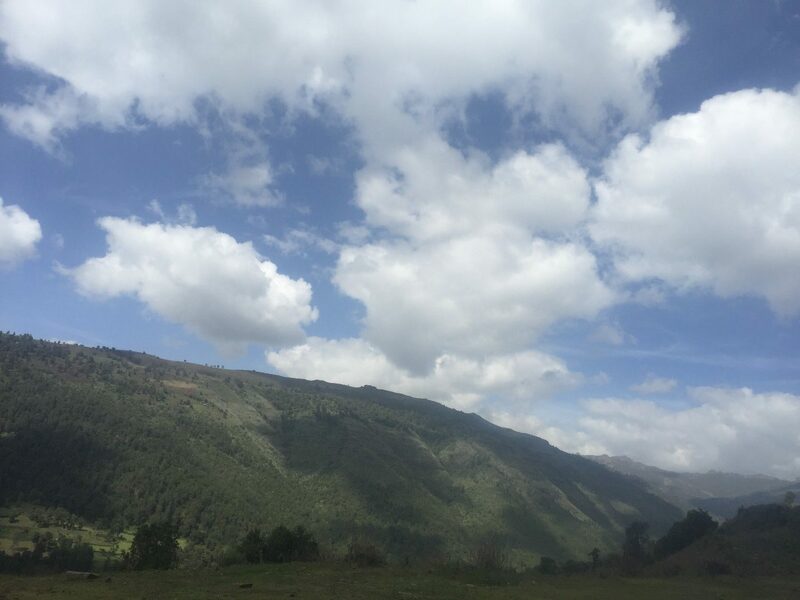 As we drive through the park, we are welcomed by a landscape scenery that constantly presents a remarkable diversity in altitude ranging from 1500 to 4377 masl. 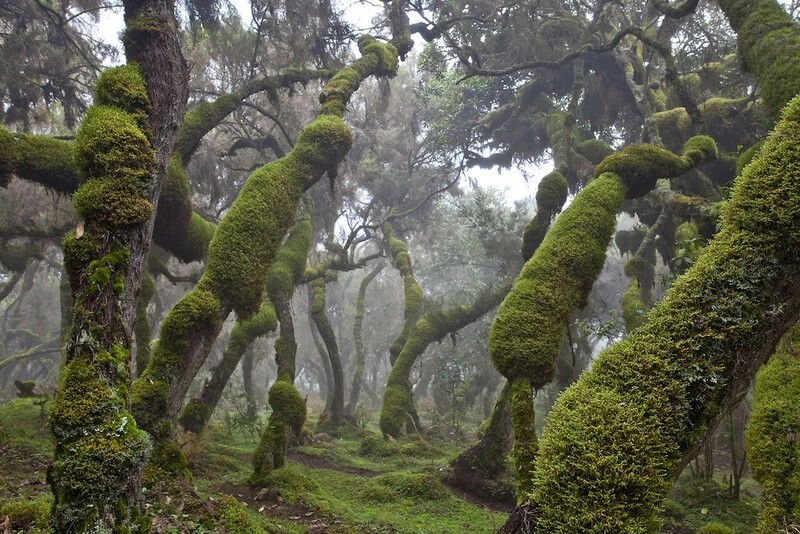 The result is a corresponding variety in climate, vegetation, wildlife and their habitat…. a true testament to the park’s main slogan “One Park, Many Worlds”. 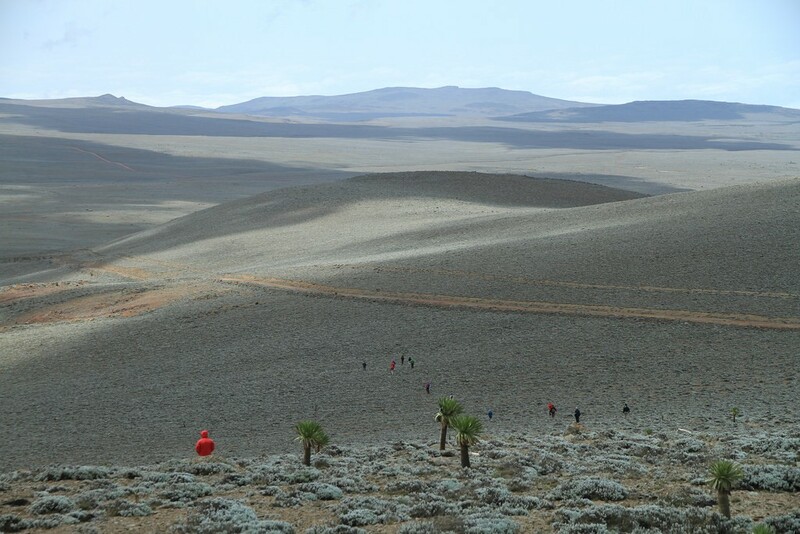 But BMNP’s “many worlds” slogan also applies to yet a different reality of the national park. The presence of livestock grazing and human settlement with a well-established town “Rira” of over 580 households, in the middle of the park …. indeed, is a different world. A bewildering juxtaposition to the abounding serenity and conservation significance the park. We made a quick stop to Rira, the “illegal town”. The clearly visible presence of heavy human settlement, developed facilities such as a school, market and even tourist accommodation shows how well established the “illegal” residents are. Rira and its vibrant yet illegal development presents a surmounting challenge to both the current conservation endeavors of the park as well to its future plans of relocating the residents. After another two hours’ drive, we reach Manyate, the first village adjacent to the southern border of the national park. We are greeted by familiar faces from the community, most of these were part of the community consultation and workshops we did in 2015 which later formed Sankate Community Association. Our meeting with the community was complemented with the traditional coffee ceremony, a common guest welcoming gesture across Ethiopia. Only in Sankate it gets even better as the coffee comes straight from the Harena forest, one of the best places for wild coffee in the world. 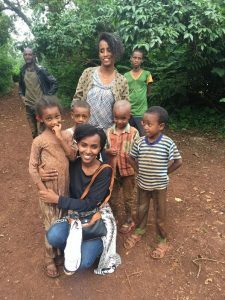 As we witnessed the roasting and brewing of the fresh wild coffee, we learnt that Sankate association has four main groups: a group of forest honey producers, wild coffee producers, local tour guides and women’s craft association. The low tourism flow to the area in the past three years has negatively affected the association where most members have shifted to other livelihood alternatives. Those who are still working with the Sankate association discussed about their challenges in running the association which includes the lack of continued monitoring and follow up, absence of functional rules and regulations and lack of access to markets. 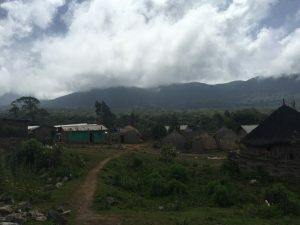 We also asked the community their perspectives on the newly launched conservation programs of Konjo Coffee http://konjo.coffee/, their involvement in the process, their expectation, concerns and priorities from taking part in these programs. 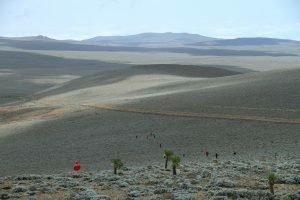 In these discussions, one of the key points the members kept bringing up was the importance of trust and commitment both within their association as well as with external actors such as the national park and NGOs working in the area. The relationships that were fostered and the lessons that were learnt in the process of establishing the Sankate association is now serving as a catapult in the ongoing community conservation initiatives in the region. Furthermore, from our discussions with the community and interview with national park and other conservation NGO’s, we came to learn that BMNP and its surrounding is currently a hotspot for collaborative initiatives. 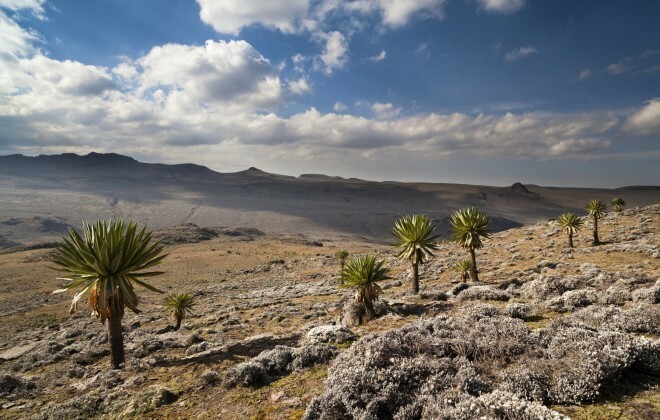 The most prominent of these conservation programs is the EU funded project entitled ‘Supporting Horn of Africa Resilience Bale Eco-Region (SHARE-BER)’ a consortium of five local and international NGOS working with the community across the national park in promoting conservation and sustainable livelihoods. This sparked more curiosity, to learn about how these collaborative initiatives are working in the region, how they differ from or relate to the conservation programs in Manyate and how effective they are attaining their goals. Our next blog will give an overview these other collaborative initiatives in around the national park. 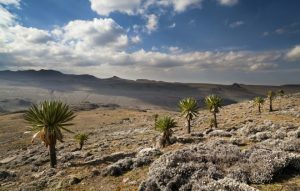 We will also share updates on our preparation for our next travel to the Bale mountains and the latest on the conservation initiatives in Manyate from our partners and collaborators on the ground. Stay tuned.